The holiday shopping season has definitely began! If you’re like me and don’t want to wait until the last minute for your holiday shopping, follow my DIY Holiday Gift Guide series where I will select a number of gift ideas that will be sure to put a smile on someone’s face. Not only will I curate a selection of gift items, I’ll also show you a simple DIY option. After all. nothing’s more special then personalizing a gift! 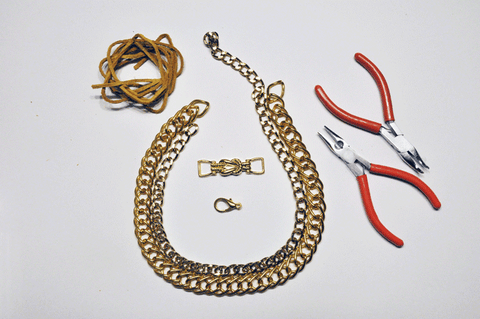 Here are some simple instructions for your DIY Statement Necklace, whether for yourself or as a gift! Begin by lining the two chains. I initally cut 18 inches of both and trimmed the excess at the end to suit my length. 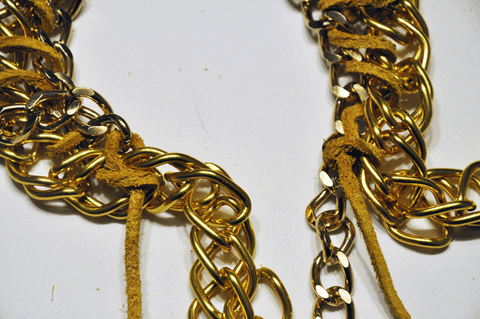 Start from the middle of the chains and string the suede lacing through the two chains. I find it easier to start from the middle because it is easier to adjust the chains’ position as I work from the middle to one end then to the other. 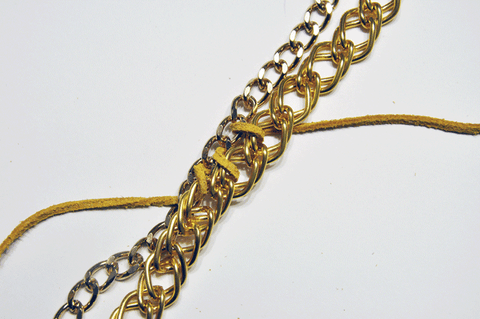 Connect the two chains together by looping the suede lacing through each link one by one. Work your way up one end, then turn one start from the middle once again towards the other end. 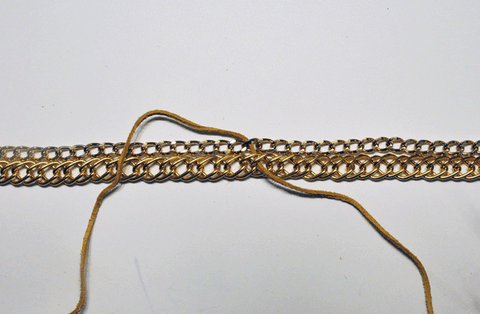 I measured the length of the exterior chain for my desired length. 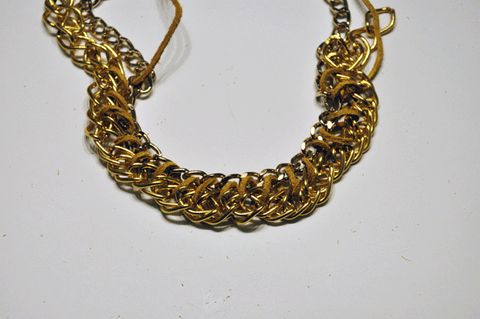 In my version, the exterior chain is the one with the larger links. Be sure to flatten, adjust, and straighten your chains as you work your way through them as they will bunch up especially if you’re using chains of different link size. When you’ve completed both ends to the desired length, lay the chain flat, make sure you’re happy with the shape of the necklace. Proceed to trimming the length of the exterior chain with pliers and tie the ends of the suede lacing. 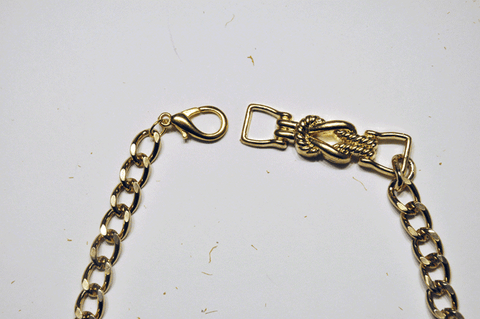 Connect the lobster clamp and closure to the ends of the chain with jump rings or you may choose to connect directly to the chain. Here you have it! A beautiful statement necklace for you or for someone special! Thanks for reading! Please share your DIY photos with me on the My Little Secrets Facebook page!